Bengal du Rouet NF is a beautiful 16.3hh 2014 gelding. Known as Tigger in the barn, he is sweet and friendly and LOVES to work. This stunning guy will get you noticed at any show as he is put together nicely and goes like a dream. 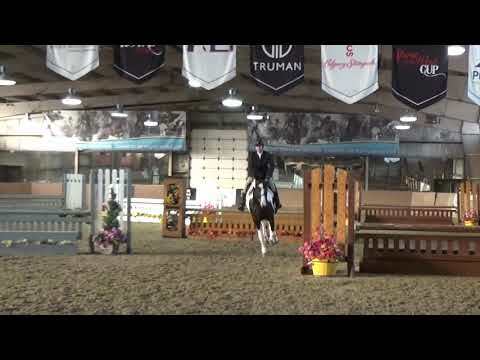 He is already competitive at 3'0 hunters, but now schooling 3'3-3'6 hunter courses to show at that height this year. Tigger has a ton of scope, will easily do 3'6-4'0 courses and look good doing it. 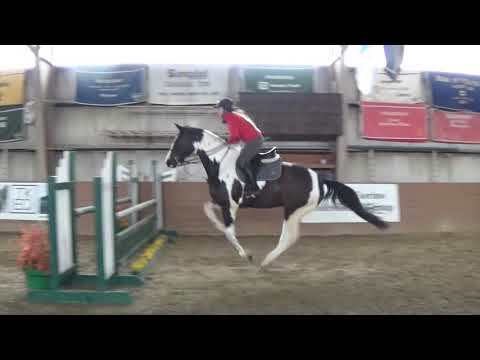 He has a steady rhythm, big step, beautiful bascule and doesn't care what height the fences are or how hard the ride is, he's ready the next day with just as much energy and enthusiasm. He is by the stunningly talented Balou du Rouet, out of a Versace B X Sandstorm mare. With more time in the show ring this guy will be hard to beat and definitely hard to miss! Thanks to your site, I have sold yet another pony: please take my ad off the site or mark her as sold. Thanks again for providing this wonderful service!